We started Day 3 of our Savoring Sicily tour with a visit to a cheese farm where we ate vastedda DOP cheese as they were making it (Same farm as the other day. I can’t say enough about our hosts Salvatore and Baldo!). Vastedda is like mozzarella, but made with sheep’s milk and a slightly different process… But that’s for another post! After, we went into the center of Salemi to visit the Museum of Ritual Bread (pictured). This place is a true gem. The curator, Gaspare, is very passionate about his work conserving the history and traditions of making bread loaves for rituals. He was a very generous host and so knowledgeable and passionate! I really can’t say enough about him, and Sicilian hospitality in general. It really warms my heart with profound joy! Here pictured, is an alter to Saint Joseph, made annually in Salemi as an act of thanksgiving and prayer for the beloved father of Jesus. 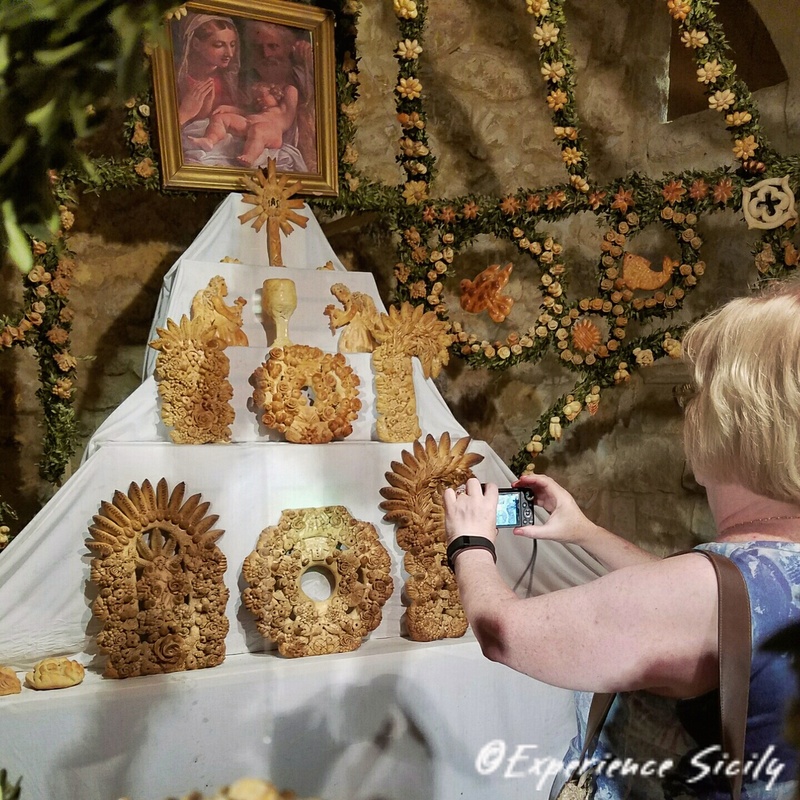 The loaves made for him for the March 19 feast are outstanding works of art (Those who follow my posts regularly know my affinity for this feast and its rituals. Please search ExperienceSicily.com for more information about the feast.). We were fortunate enough to see this truly local tradition up close! Grazie a Gaspare per la sua ospitalità! Previous Post Savoring Sicily, Day 2: Dive In!